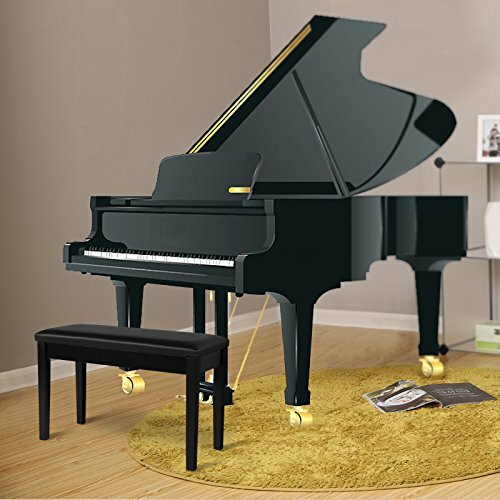 Featuring comfort, durability and simplicity, this SONGMICS wooden duet piano bench is an excellent choice for both beginners and professionals. 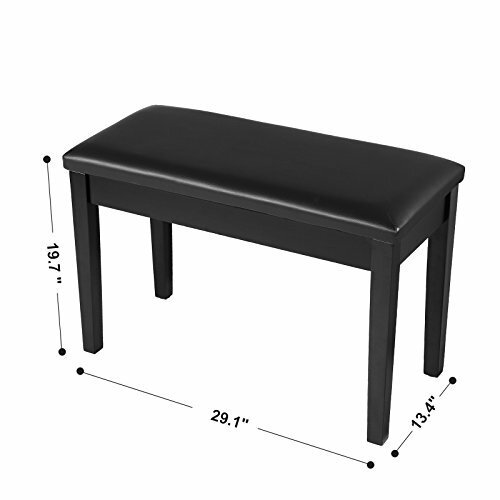 The solid wood legs and bottom rubber pads make it durable and stable. 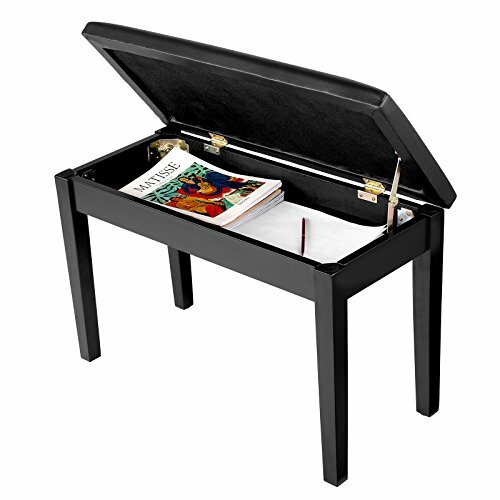 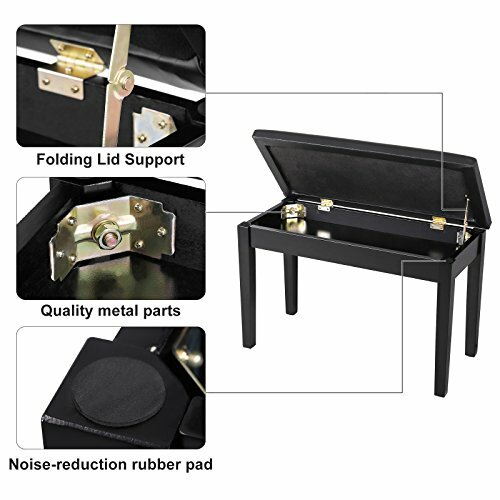 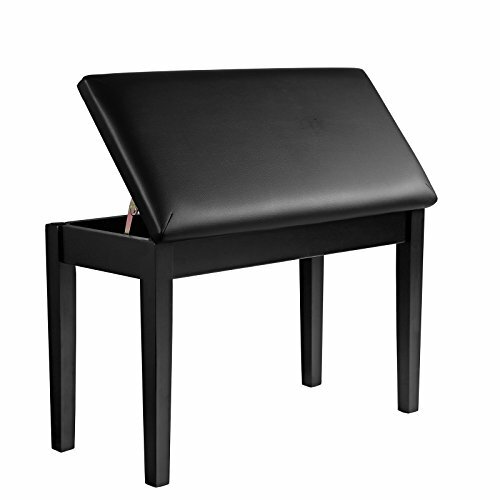 The cushioned bench top provides sufficient space to hold up to two persons sitting together, and the built-in storage compartment will keep your sheet music and other accessories well organized. 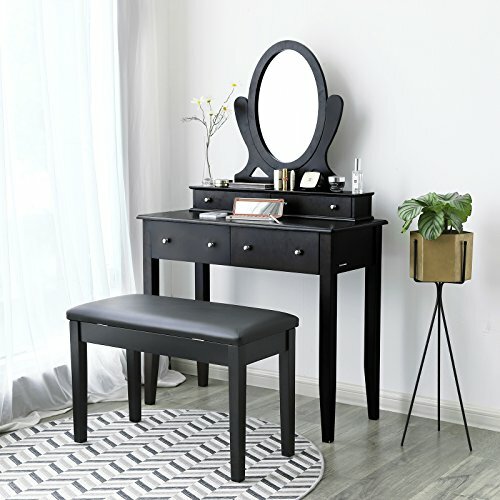 Other than serving as an ideal piano bench, it's simple and classic appearance will also be a perfect match for your keyboard or vanity table.